HURON, S.D. 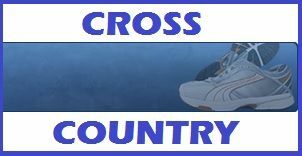 - Several West River athletes had a good showing at the Clyde Cotton Cross Country Meet in Huron Saturday. On the girls side, Kylee Bennett finished in sixth place and Sierra Oesterling of Custer coming in eighth. Brandon Valley claimed the girls team title, with Brookings in second and Rapid City Central in third. On the boys side, Nathaniel Youngblood of Custer was third and his Wildcat team finished in third in the team standings.